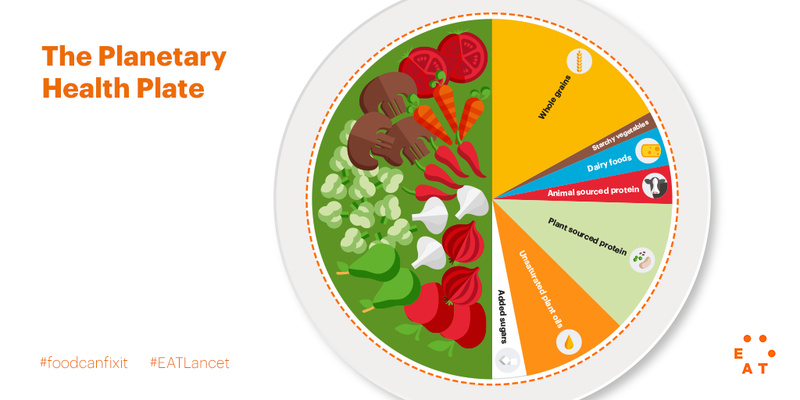 With 3 billion people malnourished globally and a food production system damaging the planet, the release of the EAT-Lancet Commission on Healthy Diets from Sustainable Food Systems couldn’t be more timely. The good news? A transformation of global eating habits, improved food production systems and a reduction in food waste can deliver healthy and sustainable diets for a population of 10 billion people by 2050. 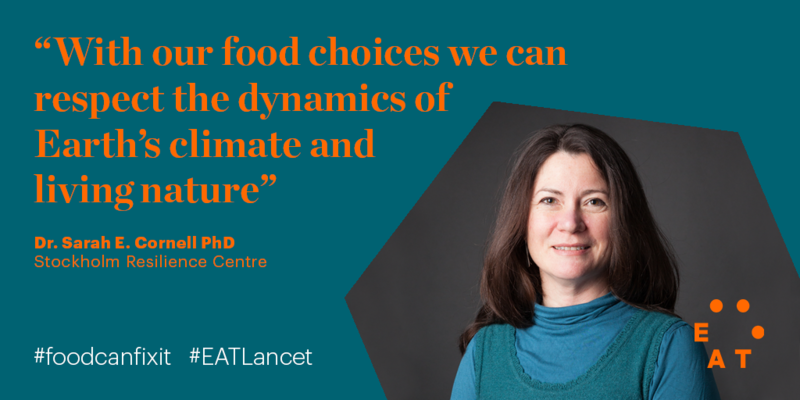 The EAT-Lancet Commission publishes scientific targets to guide an urgent transformation in the way that we eat and produce food to deliver a sustainable food system for people and planet. Written by 37 experts in health, environmental sustainability, food systems, economics and political governance, the report’s key takeaway is that it’s possible to feed the world’s growing population a sustainable, healthy diet without further harming the planet but it will require significant change. The report outlines what a sustainable diet looks like-- a diet that is predominantly plant-based with low amounts of animal-based foods, refined grains, highly processed foods or added sugars. To deliver this, the global consumption of foods such as red meat and sugar will need to decrease by 50% while consumption of nuts, fruits, vegetables and legumes must double. The intake ranges in the above table aims to account for variations in food types, agricultural systems, cultural traditions, and individual dietary preferences i.e. vegetarian or vegan diets. Although designed as global targets, these scientific targets will vary at a local level to account for the eating habits, food production systems and waste production of each country. Countries in North America, for example, eat almost 6.5 times the recommended amount of red meat whereas countries in South Asia eat only half of the recommended amount. As such, the action required by these countries to deliver healthy diets from a sustainable food production system will differ. The above recommendations deliver on both nutrition and environmental sustainability. For nutrition, the detailed dietary pattern would improve the intake of most nutrients and micronutrients. At the same time, this food production system required to support a healthy diet can occur within planetary boundaries in terms of land use, nutrients, freshwater, biodiversity loss and climate change—and can be sustainably intensified to feed the world’s growing population. To feed a population of 10 billion by 2050, we must do more than change our eating habits. The report highlights the need for a paralleled transformation in our food production systems and a reduction of food waste. Well, the EAT-Lancet points to five strategies that will drive a transformation in our food systems. Policies to encourage people to choose healthy diets via improving the availability and accessibility of healthy foods. Greater production of varied nutrient-rich crops and the support of agricultural policies to enact this in the way of incentives, programmes and research funding. Alongside these immediate changes, the EAT-Lancet Commission also emphasises the importance of greater collaboration to bring about this change within communities and all levels of government. Check out the EAT-Lancet Commission briefs for farmers, food service professionals, healthcare professionals, policy makers and cities.